Now that all the lambs have been born, it's time to get busy around here and prepare to open the farm stand for the summer. Last night I prepared a big bowl of my famous Milk Bath. Complete with dry milk, dry buttermilk and my secret fragrance. oh yum! your milk baths look great! and i love the bottles! i have alot of essential oilz from soaping and do some experimenting too, never a milk bath but have done some bath teas in tea bags that were fun..enjoy your evening! Jody, Very easy to make and enjoy! Experiment with the scents too! 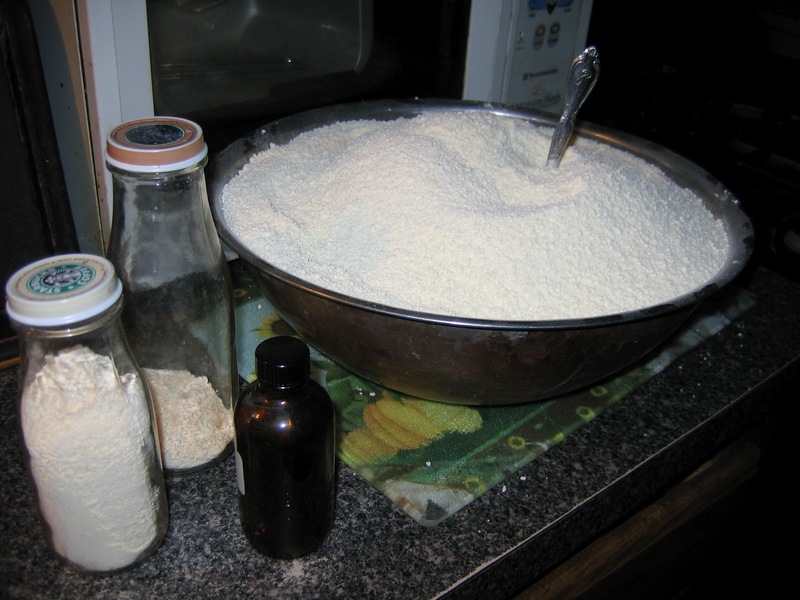 The dry milk and dry buttermilk can be found right in the same area or in the baking aisle at the grocery store, mix them up add some scent but let it dry before you seal them up. I use recycled frappacino bottles and other packaging! Incubating baby chicks, one week and counting! Greenhouse Planted and ready to go! The end of lambing season! Preparing for the Honeybees to arrive!